Does such a guitar exist? Discussion in 'Guitars in General' started by NPP, Feb 21, 2012. That could be the one guitar to end my search. But does it exist? Carvin has a bunch of SH models available lefty. No P90s though. The Heritage Prospect is a smaller version of their H535. 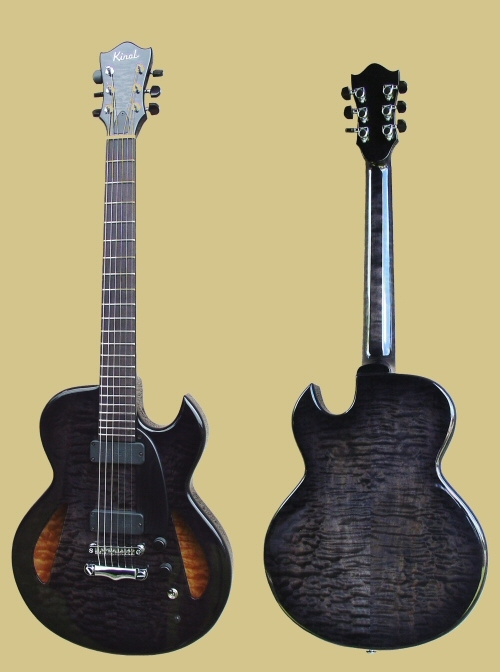 The H535 is an almost an exact copy of the ES335. You can the electronics to your desire. ^^ he can do a lefty too.